Why is PM Narendra Modi sharing a space with Chota Bheem this Raksha Bandhan? The best trend to watch around the festival Raksha Bandhan is the variety of Rakhis available in the market. They vary from intricate thread work to crazy cartoon bands. 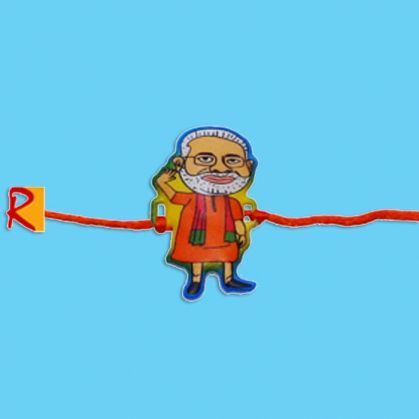 But this year a trend which is ruling the roost is that of rakhis featuring none other than our Prime Minister Narendra Modi in an animated avatar. They are called the NaMO rakhis. These Rakhis, which seem to be giving a tough competition to Rakhis featuring cartoon characters like Chota Bheem, Doraemaon, Ben 10 and Chutki, are selling like hot cakes. Prices vary from Rs 20 to 70. Namo Rakhis are available in different shapes and sizes. Some even depict Modi sharing space with Chhota Bheem, holding the Indian tricolour with a messages inscribed 'My India, My pride' or 'Desh Ka Hero' over them. With the approaching elections shopkeepers are cashing on the NaMo rakhis in Bihar. 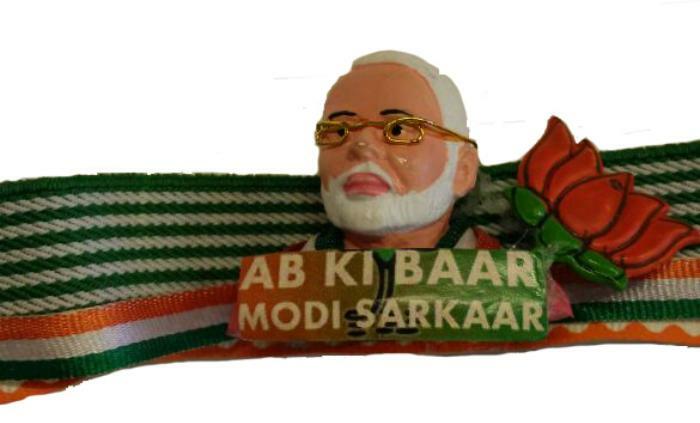 Apart from the animated Rakhis there are bracelets available in markets of Patna, made of interwoven red and white threads and adorned with pictures of PM Modi. Also these rakhis are comparatively costlier than the animated ones. According to media reports, the first lot of Modi-Rakhis went out of stock within a week after it hit various markets across Patna.